The importance of debate cannot be understated within the university environment. The values of critical thinking and independent thought are fundamental to ensuring that a university produces students that not only have the knowledge for their given career but also the ability to contribute and engage with their society. We must produce students that are change makers within society and not just cattle to be pushed and prodded within the employment market. This starts by having a belief in the importance of debate. The university and Students’ Union espouse the concept of civic engagement as of fundamental importance to its mission. However, this form of civic engagement is normally understood to be non-political or non-divisive engagement. It is the consensus model of politics and civic engagement. This is the same model that arguably has led to the failure of many pillars of society. There aren’t many people today that don’t wish that more questions were asked of the culture within banks; or the culture within state bodies or the culture within state-sponsored and church-run institutions. If as a society we had had more respect for those that question, the likes of Shane Ross and David McWilliams, we might not be in as bad a place as we are today. We have to learn from these mistakes. The consensus model of politics and public debate has failed us and it must have no place in our future. Inevitably debate brings conflict and this must be embraced rather than avoided. Ideas, ideologies and arguments must be put through a robust cycle that tests their validity and viability. This has been something that has been absent from our university community. The influence of the Celtic Tiger and its attractive exuberance and materialism spawned a generation of Celtic Tiger cubs. Thankfully it seems that this influence has been culled and debate is slowly reappearing. This can be seen in many ways with students creating policy on minor issues such as the cost of ketchup in the restaurant; tackling big societal issue such as abortion through referenda; and staff members via the DCU SIPTU branch and their contributions to the Defend the University Charter. There are a number of important catalysts for debate including student societies such as the Media Production Society, Journalism Society/The College View, Debate Society and the political party societies. They not only play the role of educating and training their members in their given area but they also add value to our community by stimulating debate. The Office of Student Life (OSL) and Society Life Committee (SLC) should take note of this and ensure that they are adequately funded to perform this purpose, anything less and our student and university community is weakened. 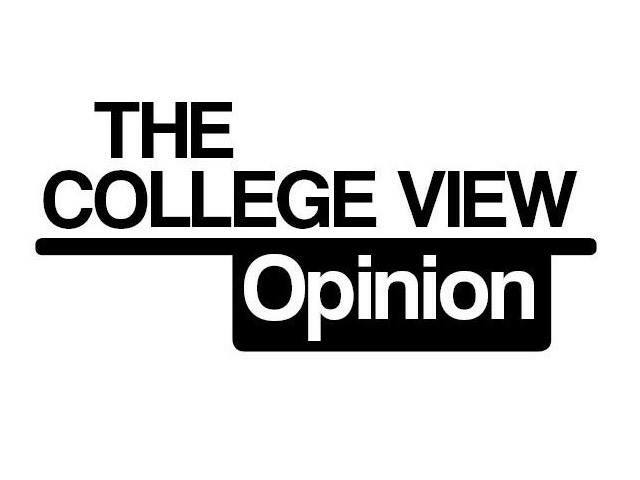 Sean Cassidy is the Opinions Editor of The College View and is a former activist within DCU Students’ Union and DCU Societies.